Address: 3404 East Harmony Road, Fort Collins Colorado. In April of 1976, HP bought a site a few miles from the Loveland Division in Fort Collins as the future home of the desktop computer business (still being called “calculators” at the time). In February of 1977, the Fort Collins Division (FCD) was established, headed by Tom Kelley. The Fort Collins Division was part of the Calculator Products Group. The division’s initial product was the HP-250 small business computer system introduced in 1978. FCD also had responsibility for the 9896 bundled computer (part of product line 10 along with the 250) and the 9871 printer and 9885 flexible disc drive (which comprised product line 37). In March of 1978, the Fort Collins Division became part of the Computer Systems Group. 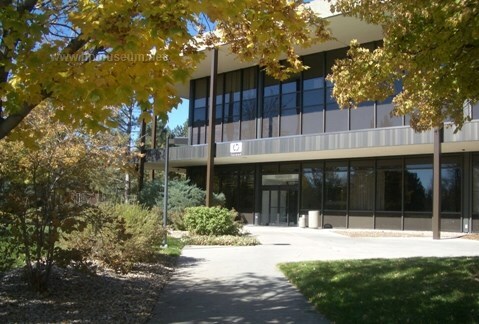 In August of 1978, the Calculator Products Division moved from Loveland to Fort Collins and was renamed the Desktop Computer Division. In April of 1979, responsibility for the HP 250 business computers transferred to the General Systems Division in Cupertino. The remaining peripheral product activities of the Fort Collins Division were consolidated into the Desktop Computer Division. In June of 1979, the division opened an operation in Singapore, the Desktop Computer Operation. The new operation was headed by Liong Wong. In 1979, DCD was HP's most profitable division. In the same year, International Development Corporation ranked HP as the world's top supplier of desktop computers (based on dollar shipments) with a market share of 32 percent (IBM was second at 19 percent). In 1979, revenue from DCD reached $200M. The Desktop Computer Division developed HP’s classic technical desktop computers including the 9845C (1980), 200 Series (1981) and 500 Series computers (1982, the world’s first single-chip, 32-bit computer). In 1981, DCD introduced the 9826A, the first of the 200 Series computers. The 9826A was also the first computer made by HP based on the Motorola 68000 CPU. DCD also introduced the 9915 industrial computer (based on Series 80 technology) in 1980. In November of 1982, the Engineering Systems Operation of the Desktop Computer Division became the Engineering Systems Division (ESD). Its general manager was Fred Wenninger. The Engineering Systems Division had responsibility for the new 500 Series computers. The 9000/500 Series computers were so fast, they were bound by special US government export restrictions. Automatic export approval was given for only 16 countries. Export to any other country required an individual license. Don Schultz remained general manager of the Desktop Computer Division. ESD sold just under $35M worth of the 500 Series computers in 1983. Revenue for the range peaked at just under $60M in 1985. In April of 1983, these two divisions combined to become the Fort Collins Systems Division under Fred Wenninger. FSD had revenues of $275M in 1984. This revenue grew to $475M in 1988. HP's technical desktop business was more heavily weighted toward international business than any other part of HP's computer efforts. In 1972, HP sold 56 percent of its technical desktop computers overseas (compared to 36 percent for other products). By 1990, 70 percent of HP sales came from overseas markets (excluding legacy Apollo products). In March of 1983, the Colorado Networks Operation (CNO) was formed at Fort Collins. The operation's charter was to develop software and hardware products to connect HP computer products for sharing information and peripherals among many users. The head of the operation was Ed Muns. In July of 1983, CNO introduced Shared Resource Management (SRM) and Remote Job Entry (RJE) for HP-UX computers. CNO was promoted to division status (CND) in early 1986. When FSD finally obsoleted the 9825 and 9845 computers in May of 1985, over 85,000 units had been shipped to customers. In 1985, FSD introduced the first of HP’s highly-successful 300 Series computers (the 310 and 320). The 9000/330 and 9000/350 followed in early 1987. In May of 1986, Pete Hamilton became the general manager of FSD. Two new operations were formed within the division, separating hardware and software. The Technical Workstation Operation was managed by Jerry Nelson and the Systems Software Operation was managed by Chris Christopher. In June of 1986, HP’s first PA-RISC computer (9000 model 840) was jointly released by the Fort Collins System Division and the Data Systems Division. In February of 1988, two new divisions replaced the Data Systems Division, Technical Computer Operations, Fort Collins Systems Division and Technical Workstation Operation. Jim McCabe became the GM of the new Technical Systems Division (in Sunnyvale) and Chris Christopher became the GM of the new Graphics Technology Division in Fort Collins. In February of 1990, Jim McCabe was appointed as general manager of the Fort Collins Systems Division. In May of 1991, the Apollo Systems Division merged with the Fort Collins Systems Division to form the Workstation Systems Division. In 1978, the Desktop Computer Division assumed publication responsibility for Keyboard Magazine.